Rising rates, decreasing origination volumes and no end in sight. With more staff reductions likely on the horizon, marketing and sales must do more with less – and demonstrate tangible results. Mortgage lending has been slow to come out of the dark and into the light of the digital age. Volume, speed and rate of change overwhelm legacy solutions, meaning data often gets lost between disparate systems with no way to prove ROI. These gaps are costing banks and mortgage lenders millions in lost productivity, customers and revenue. Here’s how a Marketing Operating System (MOS) can help you be more connected with your customers, improve business performance and outlast your competitors. Having a single, centralized location for lead generation and content creation eliminates traditional barriers to success that exist across departments or between co-marketing partners. Foster better communication and alignment. Automate workflows and approval processes. Hold content creators and co-marketing partners accountable. Speed up time to market. 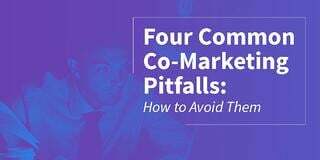 There are multiple gaps where relationship managers lose people along the customer journey. Today, creating frictionless, personalized customer experiences at scale is a top priority for relationship managers. That’s why many are turning to the intelligent marketing automation available in an MOS like Total Expert to turn one-time buyers into customers for life. The technology empowers relationship managers to personalize, automate and communicate with customers from the time they become a lead to long after they transact. An MOS triggers a series automated communications for personalized touchpoints, ongoing education and exceptional customer service that keep customers coming back for all of their financial needs over their lifetime. Any money you “save” by not allocating budget to your marketing tech stack, is money you’re losing on productivity. Eliminating manual tasks, ensuring accountability, automating tasks that are easily forgotten and enabling your relationship managers to deliver the right message to the right person at the right time is at the heart of productivity features in an MOS. Empower your loan officers to do more with the same time. Your relationship managers spend time and money generating new leads, but then in many cases, lose track of them before they’re ready to make a purchase or after their first purchase. Validating your spend – and ensuring their continued usage – on marketing technology requires a specific understanding of each tool’s ROI. That’s something only 44 percent of CMOs say they can do. With an MOS designed specifically for the unique business requirements of banking and mortgage lending, relationship managers and CMOs alike can access intuitive dashboards that allow them to measure, test and analyze the ROI of their investment. What do you get when you increase productivity, collaboration and customer retention? Increased profits! Integrate key sources of data. Understand the story your data tells. Act on data to drive desired business outcomes.